Sometimes it takes a jewelers loop to fully examine the worth of a gemstone. 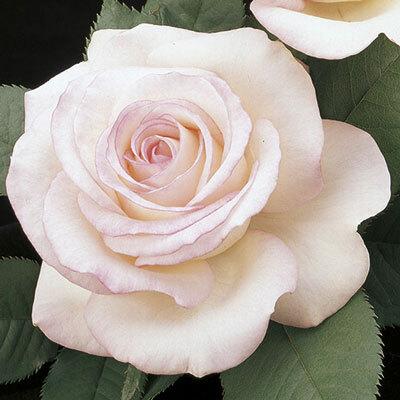 But this jewel of a Hybrid Tea flower is soooo big, you won't need any help to see the impeccable beauty of its classic show form and pearly colors. Her many blooms almost look sculpted from fine porcelain. Yet they're held atop all-too-real cutting stems clothed with large dark green leaves. Prefers some heat to bring out the best form.